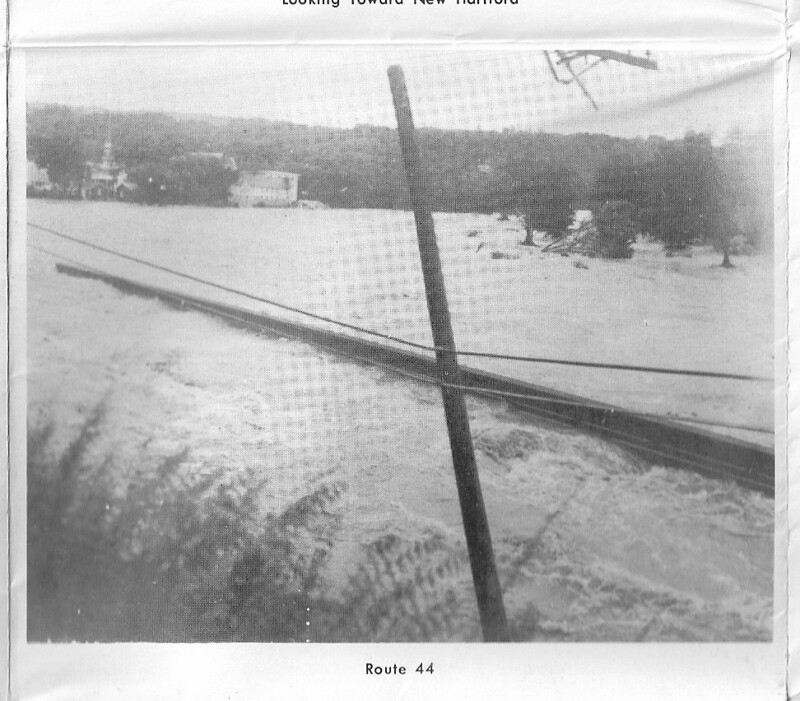 During the 1955 Flood, looking upriver at the North Village. Immaculate Conception’s steeple is visible in the distance. The wall in the foreground is the retaining wall on Route 44.